Typical call - Kitulgala, Kegalle, Sri Lanka. April 2015. CC Peter Ericsson. Description: The facial disc is indistinct. Eyes are bright yellow. The cere is dusky greenish white the bill is yellowish or greenish-horn. The mantle and the back are bright chestnut, with a few blackish bars. 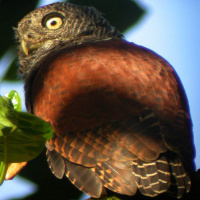 There are narrow rufous-ochre bars on the dark brown head. The scapulars have whitish outer webs with blackish borders. There is a large white area on the neck. The upper breast is barred dark brown and ochre, forming a pectoral band beneath the white patch on the neck. The lower breast, belly and flanks are streaked blackish on a white ground colour. Tarsi are feathered and the yellowish-olive toes are sparsely bristled. Claws are dark horn. Size: Length 17-19cm. Wing length 122-137mm. Tail length 56-70mm. Weight around 100g. Females are larger and heavier than males. 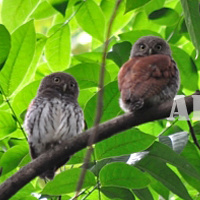 Habits: The chestnut-backed Owlet is a diurnal bird, often hunting and calling in daylight. It is shy and wary, and is seldom seen. It frequents the tops of high trees, usually on steep hillsides. Voice: The song of the male is a long, musical, purring vibrato series of kwurr notes: kwurrkwurrkwurrkwurr at about 2.5 notes per second. Each phrase consists of 4-9 notes, beginning softly and increasing in volume until breaking off. 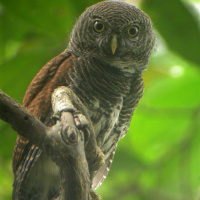 Hunting & Food: These owls feed mainly on insects such as beetles, but also take mice, small birds, and small reptiles. Larger vertebrate prey may be taken when feeding young. Breeding: Nests are holes in trees or coconut palms, mostly made by woodpeckers or barbets. Nesting season is from March to May. The female lays two oval eggs around 35 x 28mm. 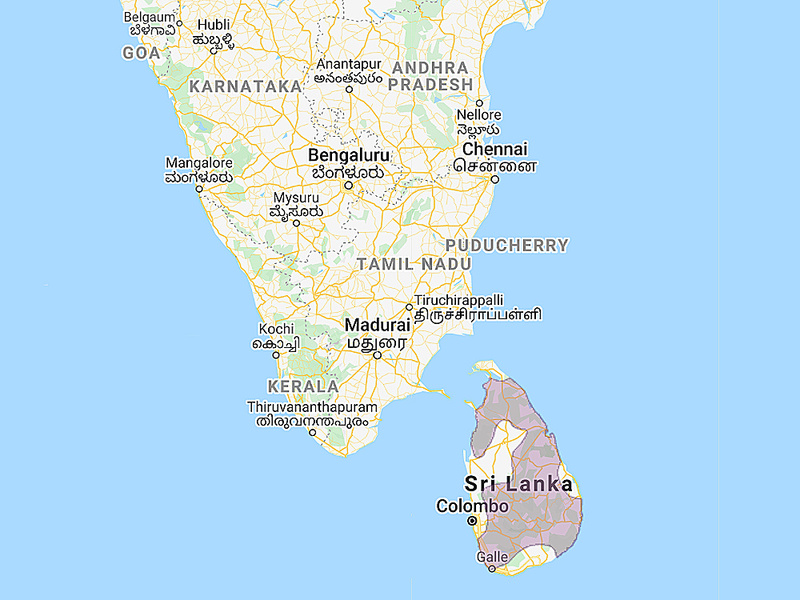 Habitat: Dense forest in the humid zones of Sri Lanka, and the western slopes of hills up to around 1950m above sea level. Status: Uncertain, threatened by dwindling habitat. Original Description: Blyth, Edward. 1850. The Journal of the Asiatic Society of Bengal (J. Asiat. Soc. Bengal) 19: p. 511. Dickinson, E.C., Jones, C. & David, N.. 2009. 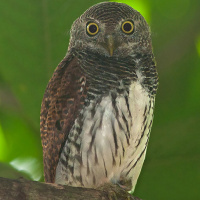 "The correct spelling, date and citation for the Chestnut-backed Owlet of Sri Lanka". Indian Birds 5(2): 52-53. Page by Deane Lewis. Last updated 2016-04-29.